and are available in a range of spool sizes. Beautiful Baker's Twines are manufactured in 100% natural soft cotton. Our baker's twines are manufactured in a wide range of nostalgic colourful colourways and are available in a large range of spool sizes. 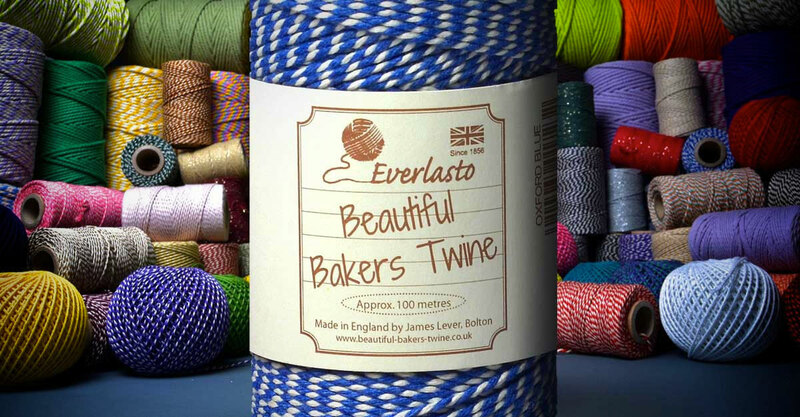 Beautiful Baker’s Twine is made in the UK from start to finish. From the sourcing of the yarn to the design and printing of the labels, the production of Beautiful Baker’s Twine supports a plethora of British businesses - continue. We have been manufacturers of superior, high quality twines since 1856. 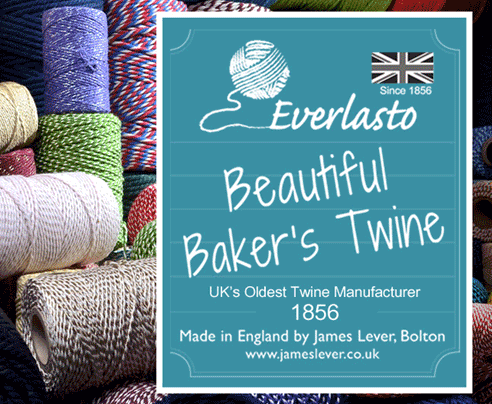 We export our Everlasto range of Beautiful Baker’s Twines to markets across Europe, the USA and the rest of world.